Last month I mentioned the Moma porridge pots. I couldn't get those ones in Asda or Sainsburys so we bought some different ones instead. Asda had a 5 for £3 or £4 offer on so we mixed and matched which ones would suit each of us. The boys had the plain ones which we then added some nutella to it for them. My husband had the Golden Syrup flavour, which smelt so sweet when I added the water. I don't like golden syrup but apparently it was really tasty. I went for the fruit and nut flavour and it was amazing!! 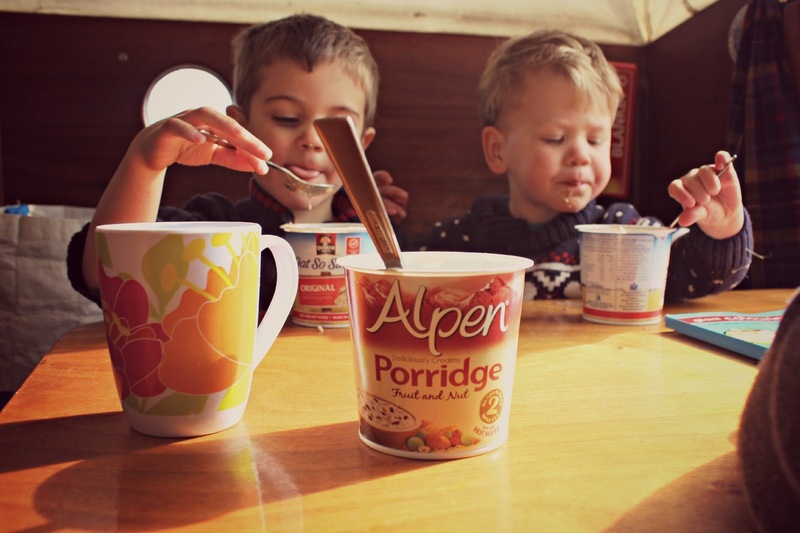 These are so easy to make by just adding hot water so are really handy for the boat, and are equally as easy to recreate at home with our own porridge oats. I am really into fruity cider. My favourite being Strawberry and Lime. This month I discovered the Bulmers Black Cherry flavour which was really tasty. I also tried the Rekorderlig Peach and Apricot cider which was deeelicious. The only problem with these ciders is that they taste so good that they go down far too quickly. Last year we went to Centre Parcs in Holland and just before we left I had purchased the Soap and Glory Self Heat Facemask. I fell in love with it immediately and used it quite a lot. When we came back from holiday it went missing. I saw my husband put it in a box and before I knew it the box was missing and he didn't know what I was talking about. FINALLY this month I found it in a box at the back of the cupboard under the stairs. My skin is better again already. April was rather wonderful in that I was able to have a day off from being mum and went shopping with my mum. I had a plan of what I wanted to buy and ended up getting exactly that, plus some other wonderful treats. I bought 2 pairs of trousers which both have quite a loud print. They do look similar to pyjama trousers, although of course that's not what they are. 2 pairs of ankle boots which I found in New Look in the sale. One pair was £12 and the other was £15. They have a heel which is really what I wanted as I feel I live my life in flats now and as I wear dresses a lot I wanted to feel a bit more feminine. I bought a dress which I will be wearing to Britmums Live (I think), and a oversized leopard print tshirt which I adore! I think it's good to give yourself and your wardrobe an update every now and then, and I especially find it really changes the way I see myself if I have been feeling quite down. Buying new clothes and changing my hair has given me a confidence boost. 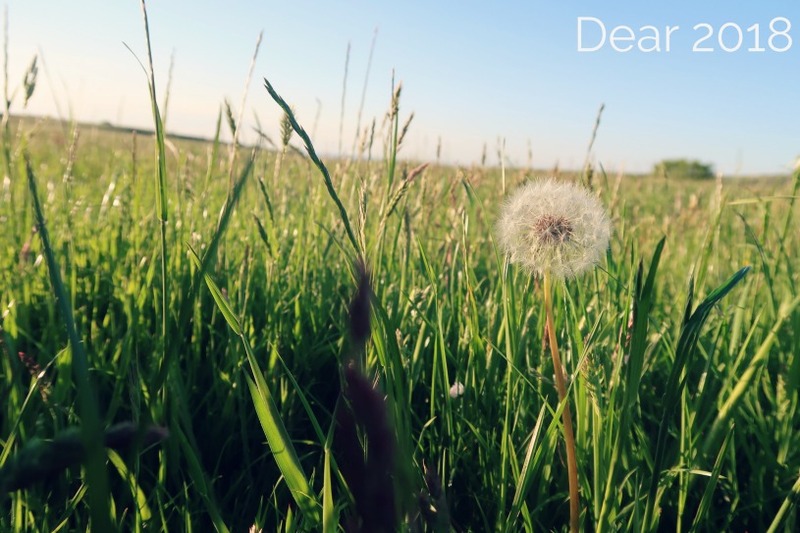 I usually list 5 new blogs I've discovered but, confession time, I haven't had time to really discover any new blogs in April at all. With the boys birthdays in June and July I have gone into panic mode. I have taken the plunge and booked a hall to host a joint birthday party, and it will be the day after Britmums Live so planning is going to be ESSENTIAL! The party is going to be mid afternoon so we're not going to put on a full buffet for lunch/dinner and instead will have a table of nibbles. 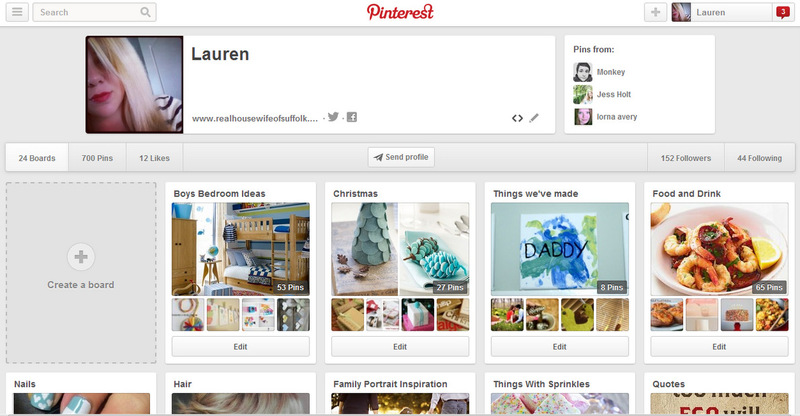 I have a theme in mind which is quite exciting so Pinterest will be my best friend for a while I am sure. I watched the Secret Life of Walter Mitty this month and felt quite disappointed, which is a shame because I love Ben Stiller. It was just too predictable I think. I also started watching Ex On The Beach. Yeah I know, rubbish reality tv but it's one of those programmes that you can't not watch. It is a bit ridiculous that we are supposed to think these people don't expect their ex to turn up, how else did the production company get their details and how much it a coincidence that the ex's all have "perfect" bodies? !